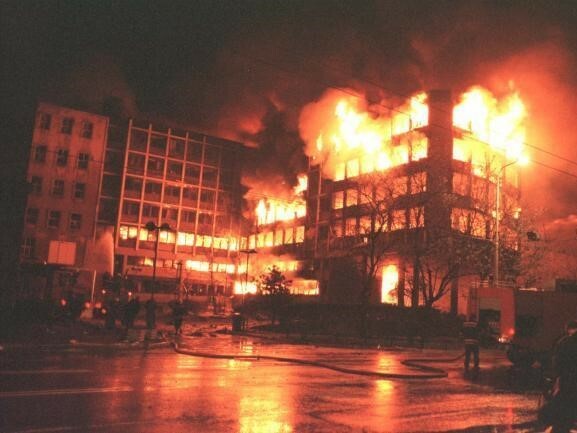 On March 23, the Secretariat of the European Communist Initiative issued a statement on the 20th anniversary of NATO aggression against the Federal Republic of Yugoslavia. Reminding the horrific consequences of NATO's bombing terror, the statement asserts, "until today, no one has been held responsible or prosecuted for these serious crimes but the US-NATO imperialism and the EU are to blame." The Initiative declares that the NATO aggression against the FRY was an imperialistic attack and adds that this ruthless attack conducted between 24th of March and 11th of June 1999 served as an experimental laboratory for the interventions which followed in Afghanistan, Iraq, Libya and Syria. After emphasizing the counter-revolutionary and dangerous character of NATO, it is stated that NATO further strengthened its forces and reach in spite of the counter-revolution which witnessed the end of the USSR and the dissolution of the Warsaw Pact. "The parties of the European Communist Initiative must strengthen the struggle against imperialist wars NATO and all imperialist alliances, Let’s strengthen the struggle against imperialist wars, the NATO and all imperialist alliances! End the system of exploitation that breeds wars, crises, refugees, exploitation! Long live socialism!"